There is no evidence that St Andrews was ever a walled city, but in the troubled times around the 16th century the outer extremities of all streets and wynds were closed by ports or gates. The West Port (port is an old word for a gate) was originally built in 1589, and is one a few surviving ports in Scotland. This is the only port to remain in St Andrews today, however, it was extensively remodelled in 1843. 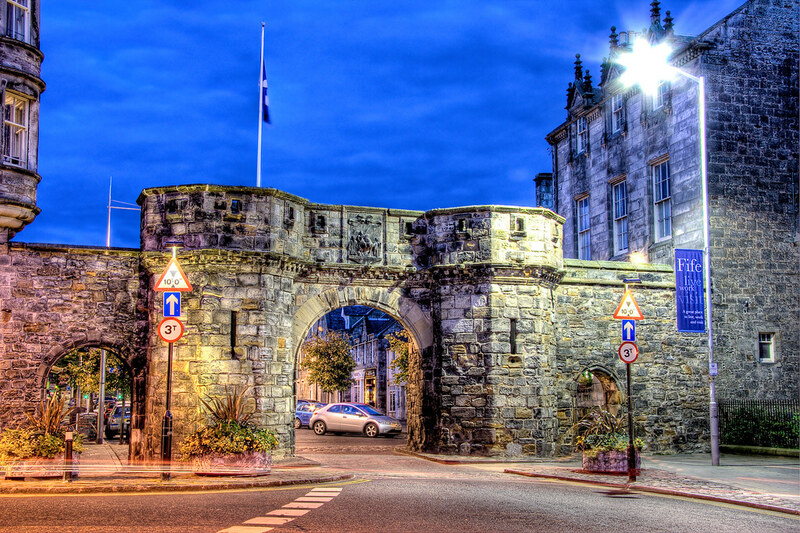 This entry was posted in Medieval, Scotland, St Andrews and tagged fife, hdr, Medieval, night, Ruins, Scotland, scottish, St Andrews, street, tower, town. Bookmark the permalink.